1. support for Torrent and Metalink file (with aria2 plug-in). 2. support for application indicator. 3. It can do speed limit control per download. 4. It can sort downloads by column in “All” category. 6. add new plug-in that support aria2 version >= 1.10. 7. add new timestamp columns – “Added On” and “Completed On”. 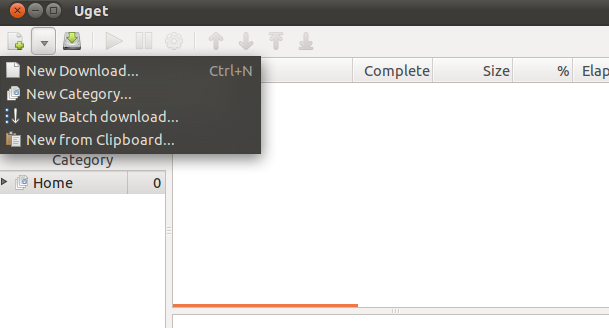 8. add configure option “–with-gtk3″ to enable GTK+3 support. No user responded in " Uget – An Open source Download Manager support aria2 "